When you think of a therapy dog you think of a cuddly little dog that every one loves right? 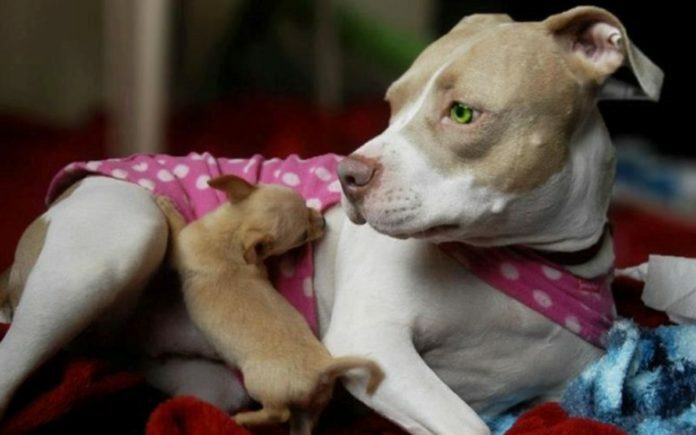 Well American Pit Bull Terriers are both cuddly and brilliant as therapy dogs and they are taking therapy programs in the state of Kentucky to new heights. 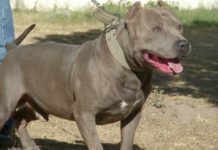 Therapy work is a perfect fit for American Pit Bull Terriers because the breed is by nature a gentle breed with people and displays remarkable restraint in situations that would make other breeds react inappropriately. 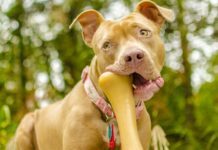 With breed banning, media hype and recent hysteria about the breed these dogs (along with thousands from around the country in therapy programs) are helping set the record straight. 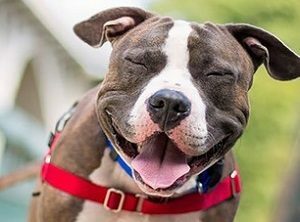 Fact is, American Pit Bull Terriers are among the most diligent and successful service dogs in Kentucky and in programs around the world. Their loving clown like nature gives them an advantage over other breeds and their ability to withstand pain doesn’t hurt their performance either. I mean some people have a hard time getting around and it’s not altogether unlikely their toes might get stepped on or run over by a wheel chair. I worked a session where a woman had a sensory problem and she had a compulsive need to pinch things extremely hard once she got a hold of them. While she never pinched Angel, she could have if we were not paying attention and the out come would have been Angel having discomfort but not reacting with aggression. Another breed might have been driven to biting or growling at a person like this. It’s not the dogs fault, I mean I saw her get a hold of another participant in the class and I wouldn’t blame any dog for getting upset and warning her off. Kentucky is in desperate need of these dogs and even more in need of solid programs that deploy them. I love the bluegrass state and want nothing more than to see these programs flourish and expand. 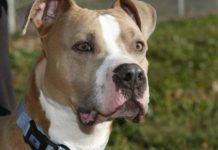 Thousands of Kentucky residents will benefit from therapy dog programs and interacting with Pit Bulls that are deployed by them. There is no denying it or countering it with breed banning B.S. 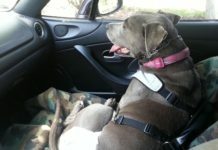 Pit Bulls do rock as therapy pets and I for one will strive to put as many of them into service as possible. 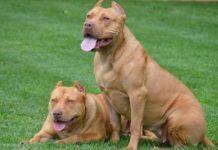 Our breed is under siege and therapy work, service dog assignments, and other forms of community involvement are critical to repairing the breeds tarnished image. 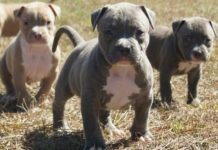 What Can You Expect From a Pit Bull?